The Pats had a chance to win their sixth Lombardi Trophy in 2018, but were thwarted by the Philadelphia Eagles 41-33 in Super Bowl LII. Even so, the Patriots’ 2017 Super Bowl LI rings continue to set the high-water mark for championship rings. Jostens documented the relative size of the Patriots’ Super Bowl rings in the amazing photo, above. 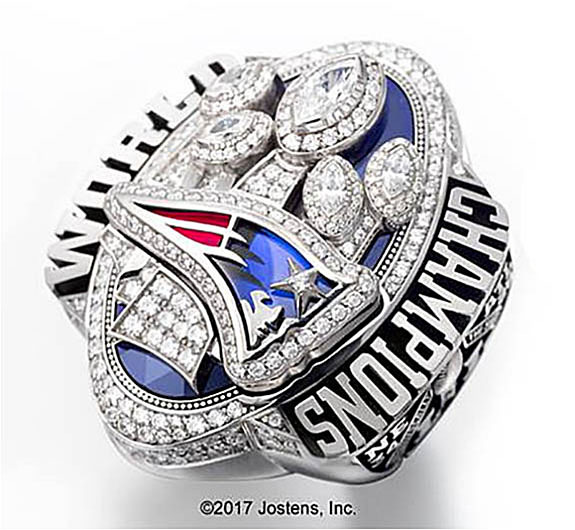 If the Pats win another Super Bowl, we’ll be excited to see how Jostens and the Patriots will manage to design a ring bigger than the 2017 installment. 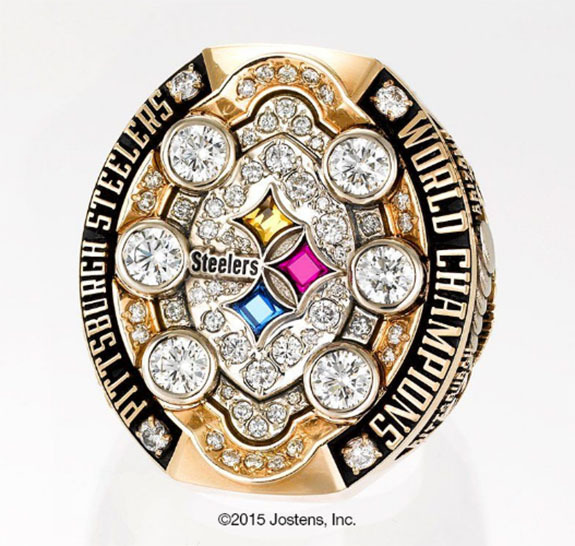 One would think that, since the Steelers have the most Super Bowl victories, the rings commemorating the sixth championship should rank as the largest ever. Well, they’re not. When the Steelers won their sixth Vince Lombardi Trophy in 2009, the championship rings featured 63 diamonds weighing 3.61 carats. Although this was the biggest of the six Steelers rings, it was still far smaller than the one awarded by the Patriots in 2017.